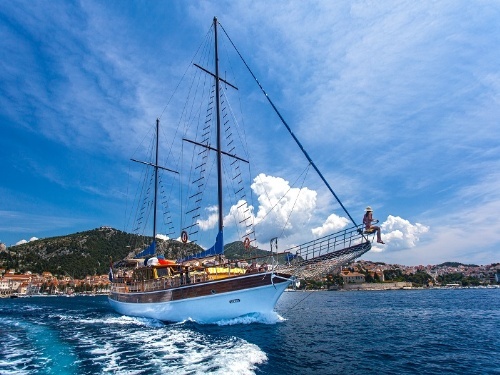 If you want to relax on a big private sloop and travel in peace and enjoy in being pampered all the way, you would surely enjoy taking one in Croatia. Unlike bareboat charter, crewed yacht charter provides you with the pure pleasure. It is the best solution for intimate and flexible vacations. 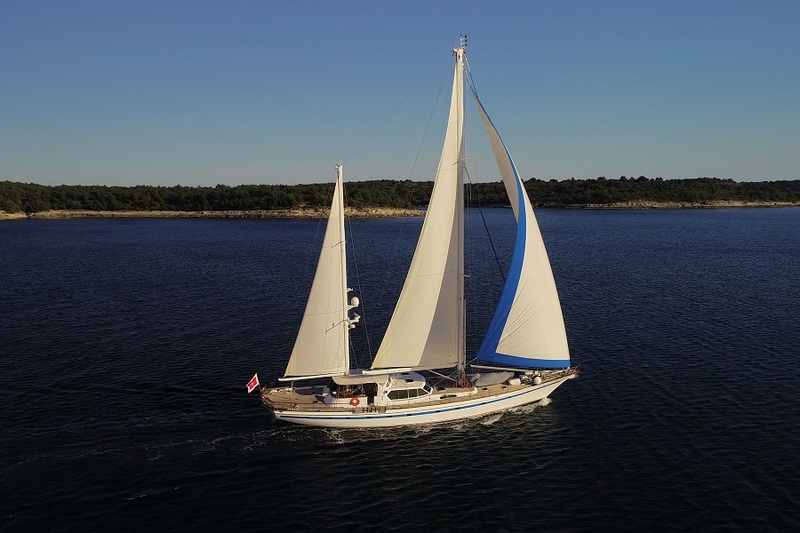 Larger sail yachts are operating charters on a fully crewed basis and they accommodate 6 to 10 guests, since luxury & room demands are increased compared to the smaller ones. Many of the world`s most gorgeous and exciting ketches, cutters and schooners are available for charter. Handling these amazing vessels takes skill and knowledge of the local waters, which is why most sailboats for charter that are over 55 feet long are chartered with crew dedicated to the yacht. Boat hirer can fully relax and captain (skipper) and the additional crew (if needed) will take care of everything. Captain is responsible for the boat, the navigation and route planning under the client's suggestions and wishes. You can also decide to take an additional crew member(s) as hostess, cook, baby sitter... A hostess will ensure that the yacht is kept tidy and that all the provisioning is taken care of. She/he is responsible for the inner part of the boat. On more spacious sailing yachts you can also request a qualified cook/chef to join you on board, to ensure you have traditional Croatian/Mediterranean culinary experiences on board. Crewed sailboat chartering combines the service and friendliness of an elegant hotel with the thrill of sailing on a world-class yacht. If you`re looking for a fantastic sail, and want a larger boat (for your family or several friends/couples) you should strongly consider a crewed sloop, yawl or some other model. There are many great boats for you to choose from - the right boat depends on your choice of destination, size, number of cabins and level of luxury.